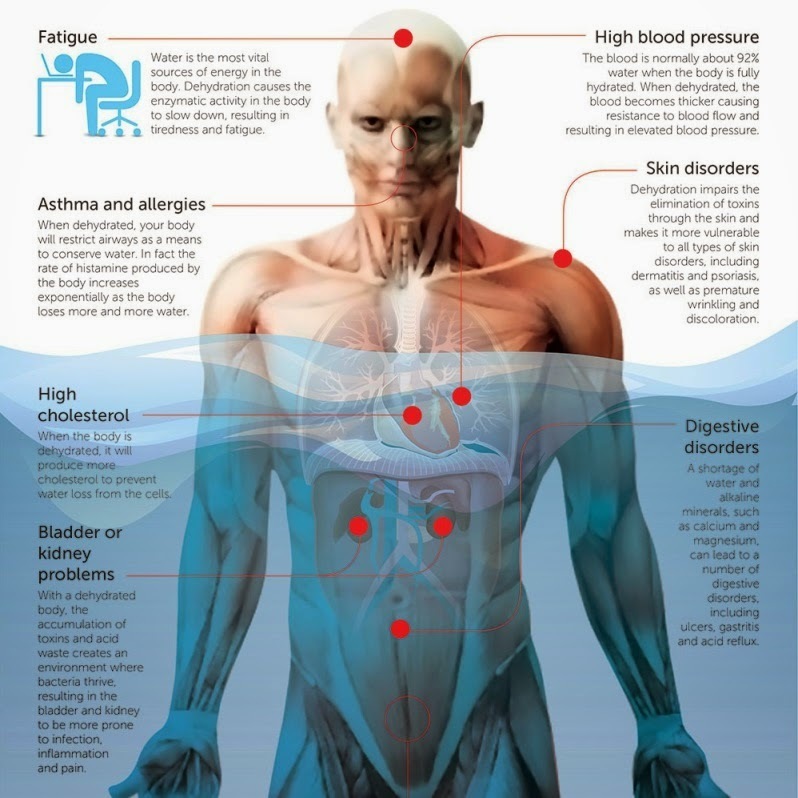 Digestive, skin, bladder and kidney problems, fatigue and headache are just some of the adverse effects from not drinking enough water. We need it as much as air we breathe in! It's not a joke. 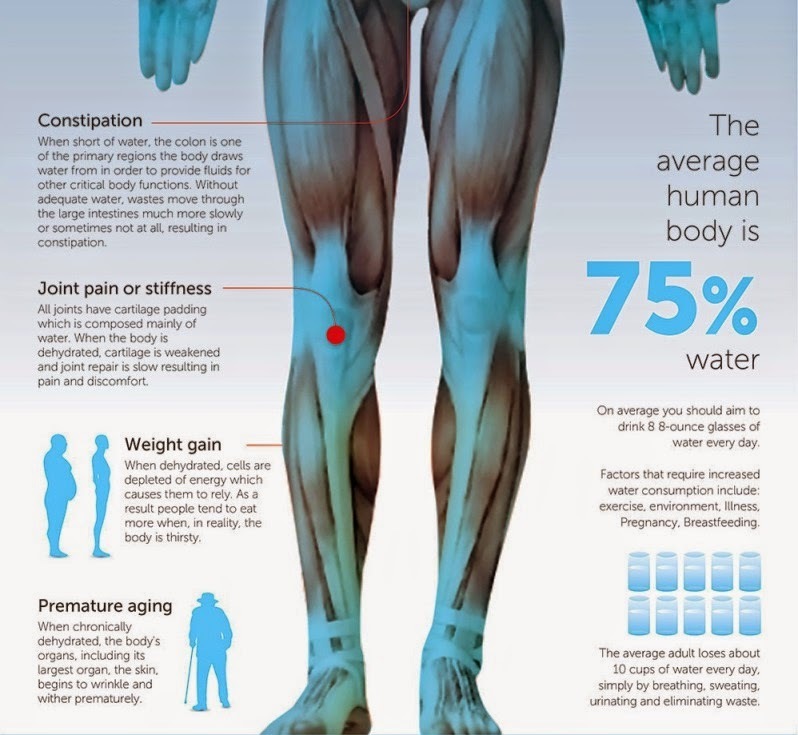 Did you know that when you start feeling thirsty your body is already dehydrated? The best practice is to sip water throughout a day. Have it always handy! 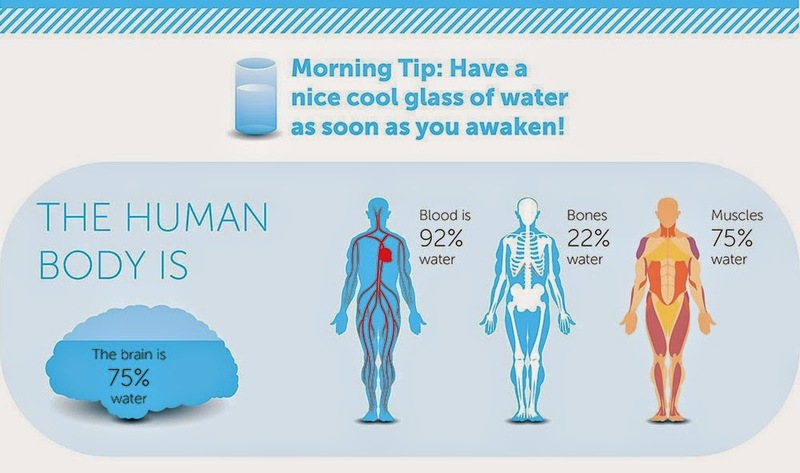 If you're not a morning person, have two glasses of water right after you wake up. It will boost up your blood pressure to normal levels, and it's way healthier than having your first coffee on an empty stomach. 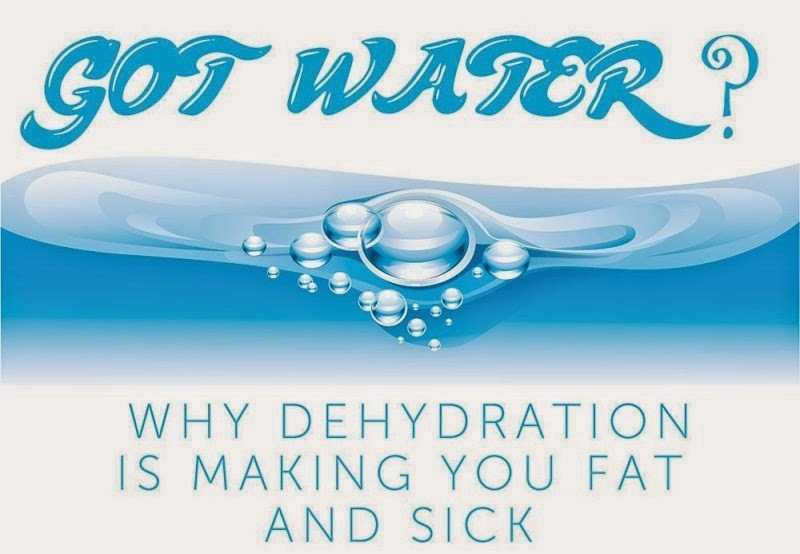 Also, don't think that sweetened juices, soda or tea will hydrate you as well as water does. It's actually the opposite! Sugar, as well as salt, makes your body waste precious water just to clean it out from your system. And if you love your coffee, make sure to drink one extra glass of water for every cup you have. 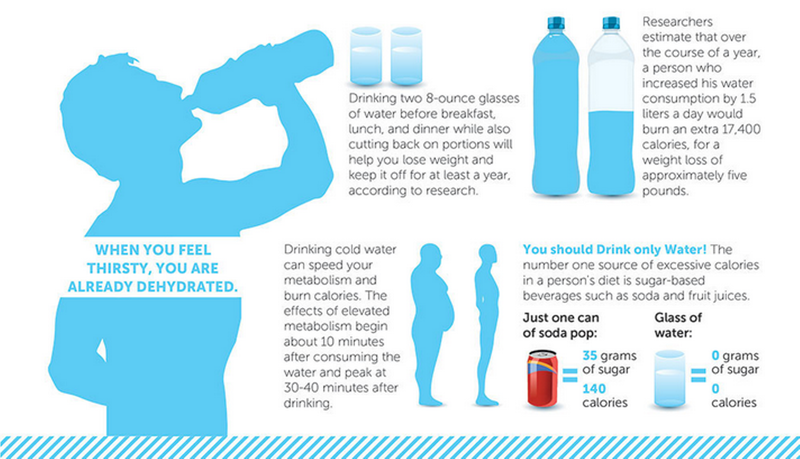 And as an added bonus, drinking water speeds up your metabolism and makes you feel more ‘full’. You will eat less once you start drinking more! It's the safest and healthiest way to loose some weight. 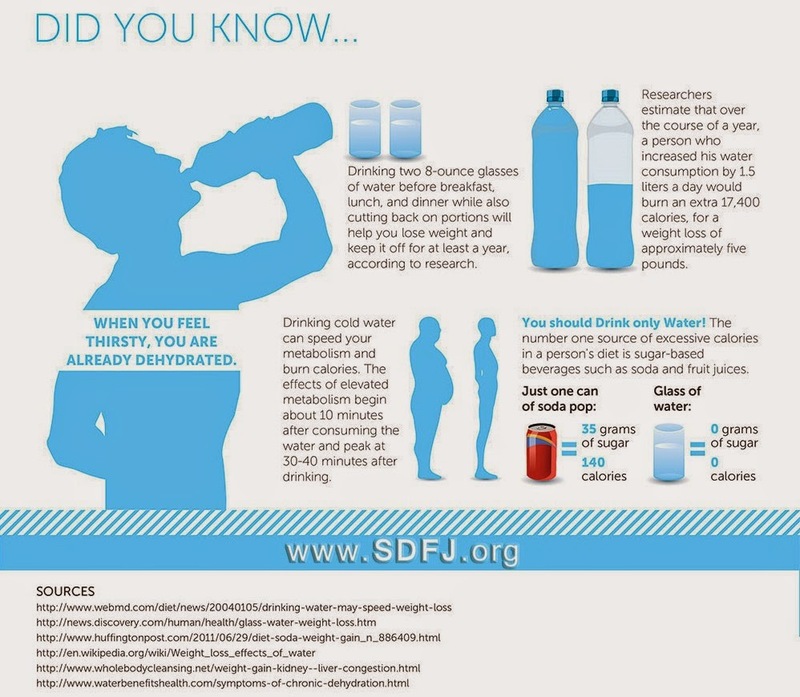 A Woman Drank 3 Liters Of Water Per Day. After Just 4 Weeks Her Results Shocked Everyone!